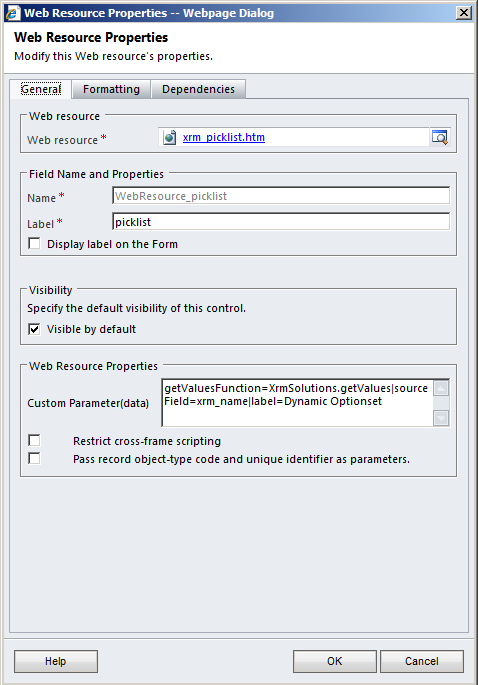 getValuesFunction – the name of the function that should be available in one of JS webresources of CRM form. 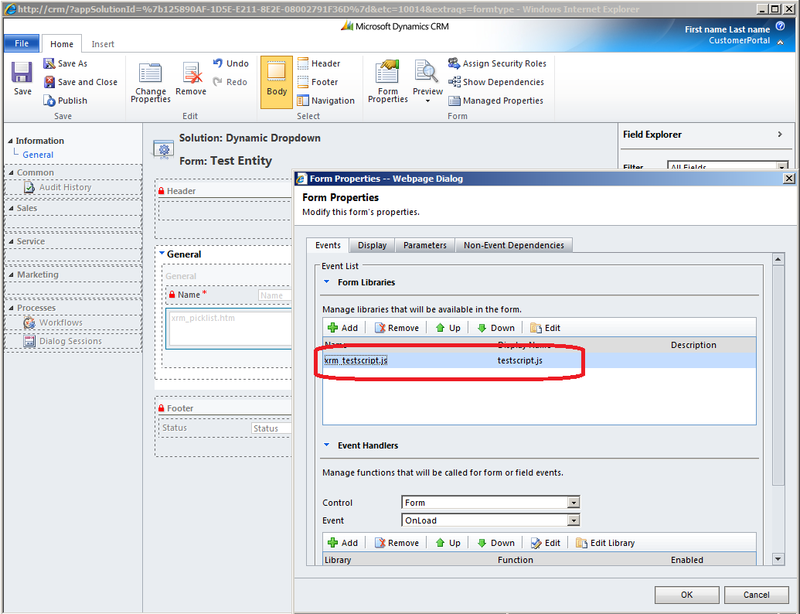 sourceField – schema name of the field to which the value selected in dropdown will be saved. 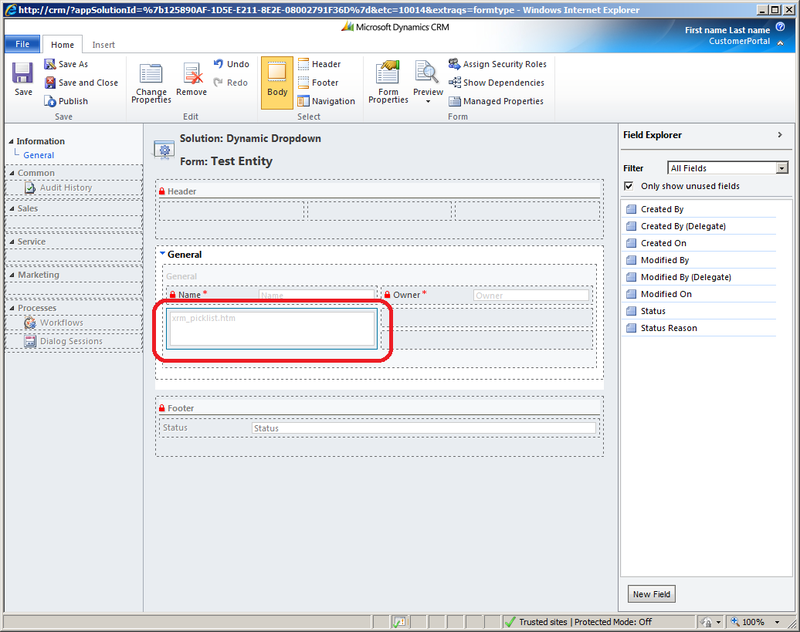 label – is the label that will be shown near the dropdown control. In this case I used a static list, but you can use any kind of string array.